If you're searching for the perfect name for your baby boy, you may want to take a look at the 100 most popular options. 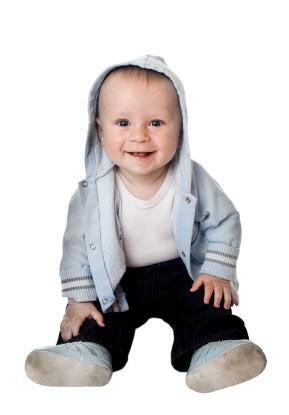 The best resource for finding the top 100 baby names for boys is the Social Security Administration (SSA). Each year, the SSA releases the definitive list of the most popular names in the country, which is compiled from new social security card applications. These names offer a glimpse at current naming trends, and one of these might just be the inspiration you need to name your little man. The specific names on the SSA list change every year, but each year's names share visible trends that help inspire a generation of parents' baby name choices. Jacob - The number one name since 1999, Jacob has a loyal following amid American parents. The name figures heavily in a number of important religious texts, including the Bible, Qur'an, and the Talmud. In Hebrew, "Jacob" means "heel puller," a reference to the story of how Jacob was born holding on to the heel of his twin brother, Esau. Noah - Currently at number four on the list, Noah has been steadily climbing the charts since the mid-1980s. The religious figure of Noah appears in both the Bible and the Qur'an, which both describe how he built an ark and saved all the animal species during the great flood. The name may mean "comfort." Michael - Michael is notable because in the more than 13 decades the SSA has been keeping records, it has always been in the top 60 most popular names. In fact, it spent 43 years in the number one spot, before being supplanted by Jacob in 1999. It's currently number eight. The name refers to an archangel in the Muslim, Jewish, and Christian faiths. Mason - A rapidly rising star, Mason wasn't even in the top 500 three decades ago. Today, it's number two on the SSA's list. Once used exclusively as a surname, it refers to someone whose trade is stone masonry. It has a clean, classic sound while still sporting that charming "N."
Logan - In the top 100 since 1991, Logan is currently number 20. It's been hovering around this point for several years, and its "N" ending makes it seem right at home with other popular names like Ethan and Brayden. Originally a surname, it means "the one who comes from the hollow." Jaxon - Only in the top 100 since 2010, this popular alternative spelling of "Jackson" has a cool, trendy sound. It originally meant "the son of Jack" and was a surname. Jaxon is number 66. Liam - This Irish name entered the top 100 in 2006, and it's been steadily on the rise. Now at number six, it has surpassed many other Celtic options and seems likely to remain popular for a few years to come. It's a form of "William" and means "warrior with a strong will." Aiden - Currently at number 10, Aiden entered the top 100 in 2003, eventually surpassing the alternate spelling of "Aidan." This Irish name means "little fire." Ryan - An Irish name meaning "descended from the king," Ryan has been steadily in the top 100 since 1971. In fact, it hasn't left the top 30 since 1973. It is currently at number 26. William - In all the time the SSA has been keeping records, William has never left the top 20 most popular names for boys. A German name that means "guardian," it's a favorite with parents looking for a traditional, versatile option. William was number five in 2012. James - Also consistently in the top 20 is James which means "one who supplants." It is a Hebrew name with Biblical significance and is ranked at number 14 for 2012. Anthony - In the top 100 for all the years the SSA has kept data, Anthony is currently number 15. It's of Latin origin and means "priceless." This classic choice has delighted parents for decades. With all the wonderful names in the top 100, you'll have no shortage of inspiration in choosing the perfect name for your baby. Whether you stick with one of the trends, or select something that falls outside the norm, these names are popular for a reason. People love them, and your little boy will too.